Back when a lot of us were kids we would debate who was the best Hero. The Six Million Dollar Man or Wonder Woman. It's time to settle the score once and for all time. Who is the best Super Hero? Wonder Woman or The Six Million Dollar Man? Hey wait a minute, that is Stan Lee in the jury box of the gif I was going to use!!!! The one I was going to use was the next one after that where the Hulk throws stunt Charles Andre. But Stan Lee is listed in the credits as the jury foreman. The Hulk has been hogging polls for years! Maybe a Bionic Woman vs Bionic Man get married with children and seek Marriage Counseling from Billy Crystal. I Hope the Bailiff wasn't Richard Moll! “Analyze My Circuits!” That was good. The lasso shatters when anybody challenges the truth. Diana reverses the hold and pins jannie to the floor. Hesta’s lasso Of Tarth only works on lower Wacker Dr! Everybody knows that. WW would have nailed Lex if she took him out on Saturday for Dinner at a nice place On Rush St. Plus lasso's work better in The Loop! Sorry, it was the Hestia’s golden lasso Of Truth. Oh, Hestia's! That's a different lasso with powers above ground. That is Wonder Woman’s golden lasso. Hestia was one of the cooler Greek Olympian Goddesses. The first born of six children of Cronos and Rhea, (Hestia, Demeter, Hades, Poseidon, Hera,and Zesus), the first child Cronos devours, and the last comes out of Cronos as Zesus freed her (hence she is both the oldest and youngest of the first six (hey, it is an Ancient Greek logic puzzle that only the ancient Greeks could understand)). She is one of the two virgin Olympian goddesses. And because she willingly chose virginity, she became the direct opposite of Aphrodite, and was the only one Aphrodite could not trap with her tricks. Also because she was the goddess of the hearth and that hearths are immovable, she has the immovable personality and is the stay at home goddess. (That is why the lasso shatters if you questions the answers of those who are captured by the lasso. The universal truth is seen as immovable as the hearth is.) She is the one who gives up her seat on the high Olympic counsel of the Gods when Athena comes into the counsel because Hestia’s wisdom was to maintain order both in the home and in government. She resigns her seat so that there will be six male gods and six females God’s and not seven female gods to six male gods if she had stayed on. But she does stay in the counsel chamber to attend the hearth. She is the most forgotten goddess. She is the Greek goddess of “of the hearth, architecture*, and the right ordering of domesticity, the family, the home, and the state.” Her symbol is the hearth and fire. Why am I going on about Hestia? Because I have the complete “Percy Jackson & the Olympians” book series and it is Hestia that the last title of that series refers too as “The Last Olympian”. It is her and her humble gifts to Percy Jackson and the Camp Half bloods that ultimately do in Cronos and his army. Without giving too much away, it is her who defends hearth and home while Cronos lures the rest of the gods away. Cronos forgot about her and ignores her. Big mistake. * I question the architecture part because Athena is usually more associated with that. If you type a little more we will have enough for a short story! Sounds like the making of a Wonder Woman Prequel! Oh..... and I have not made my choice for my own poll! Lynda Carter Rules! WW All the way! No, Steve Austin all the away! And Kwai Chang Caine too. The fighting was more realistic. Now THIS IS GOOD GIRL FIGHTING! I hope you know I’m joking here and giving you a Saturday bump. Steve was always in Slo-mo when he was going fast, Remember! Kwai Chang Caine always did his Kung Fu slow! No Slo-mo! Awesome pol!!! I say Six Million Dollar Man. Well since we talk about every live action superhero show of the 1970s, mine was well list them all here and finally get the last one too. Sorry guys but Tobey Maguire was not the first actor play a live action Spider-Man. Nicholas Hammond was. - The Bionic Woman (1976-1978 TV Series). - Kung Fu (1972-1975 TV series). - The Six Million Dollar Man (1974-1978 TV series). - Wonder Woman (1975-1979 TV series with Linda Carter). * Sorry guys, but IMHO, these shows were so badly done and the special effects technology for tv was just simply not there to do the artistic visions of these characters justice, that they made the Batman (1966-1968 TV series) look like a masterpiece. If you going to do something like live action comicbook superheroes, do it right or don’t do it at all. But this is not the sixties. It is the seventies. 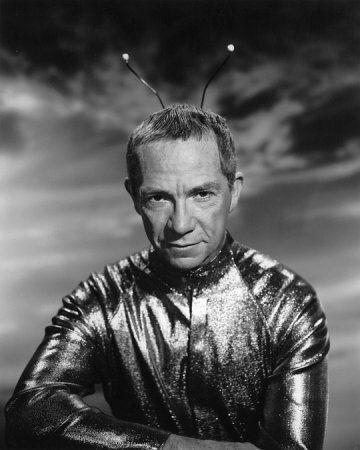 And even “My Favorite Martian” had better effects than I had marked with an asterisk. Since when did Spider-Man wear a utility belt of external webbing cartridges , and wear a bracelet for a web shooter? Oh and his webbing looks like rope. Atsa Spicy Meataballa........Alka Seltzer Commercial Bump! The 1960's had cheesy commercials too! Tv wasn’t the only place you found cheesy commercials. Try the headers to movies on VHS tapes! I can personally testify that was the header to the first release to “Batman”(1989) on VHS and yes, that is a can of Diet Coke wearing a Batman cape. (That means Diet Coke beat both Pepsi and Coca-Cola to be a superhero!) http://itsonlyamoviepage.blogspot.com... Just joking - I wanted to order a tie to and we are not talking about neck ties. Seriously, you got to love the product bumps in the second half of that header. The WB catalogue with a Batman Logo on it - priceless. Yeah, it's also fun to see older ads with celebs before they were famous! Why not "The Bionic Woman"? Probably because Bionic Woman wasn't on in '75. I rather see Nathan Fillion bring the darkness, action, presence, and sarcasm of Mal in “Firefly” and the wit and charm of Castle of “Castle” to Hal Jordan/Green Lantern. If he had a British Accent and was 10 tears younger. James Bond. “10 tears younger”? I didn’t know tears could reduce your age. Of course 1 know you meant “Years”. I'm reeling in the Tears, stowin away the Yime! Actually he could be a Rookie Bond. Oldest "MI" Rookie 00!! Now you know why I chose 1975. Two ladies up against one poor bionic man. No Contest! Poor Steve would lose. Now let’s get this poll back on track. Wonder Woman Diana Prince maybe a immortal, or at least an extremely slow aging woman, Otho k Steve Austin is stronger. That was meant to say “otherwise, Steve Austin was stronger” as in stronger than Wonder Woman. Oh , btw, in the “Wonder Woman” and in “Justice League” the new Wonder Woman was “filmed” in slow motion (at least twice in JL) to show what she was doing. So, there goes your “No Slo-mo” idea out the window with Wonder Woman. I like Elmo's idea of the Bionic Woman vs. the Bionic Man, as well as granger's idea of the two "Bionics" plus Wonder Woman and the Hulk. I'm a little too young to remember any of them but, according to CNN, they're the most popular of that genre in the era. Besides, there are posters of them all over the place in an obnoxious 70's clothing store in NYC, lol. I'm a little too old! LOL. I remember them as a young man. I'm so old that The Adventures of Superman (1952) is a boyhood memory in reruns. Guess I'll have to do a Gilligan vs Barney Fife Poll. Silly Sidekicks of the Sixties! Bionic Man and Woman vs Terminator Man and Woman! You guys are great. Making that one right now.